This was a very special project for me because I was able to commission some entirely delightful artwork by the incomparable Natalie Wargin in order to bring these charming bears to (virtual) life. Meet Elia and Nicolas, the fine bears in question, and the nature-teaching and nature-sharing alter-egos of Deb Vail and Harry LeBlanc, the grandparents of the forest, themselves. In addition to the website design, the Pink Elephant Creative team designed the logo and a template for their learning resources. The first one they’ve released is free and I highly, highly recommend it; it’s called Growing an Edible Flower, Herb and Vegetable Garden With Your Child. I’ve already ordered our seeds so that our family can do this too. They include sample garden plots for larger yards and sample container gardens for those of us (like us!) who only have a little bit of space and will need to use pots. The plants they’ve chosen are good for less-than-patient little gardeners and the steps are all very simple for a first-time garden-grower like me. You can sign up to receive their children’s garden guidebook here. Organized under e-book design, logo design, website design. No comments. 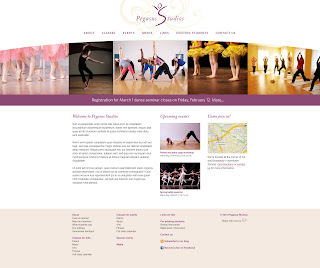 Organized under website design. No comments. Lauri Hughes is a doula, midwife and lactation counselor in Boulder, Colorado. It was a joy to partner with her to create this website for her women’s wellness practice. Mamas and mamas-to-be of Boulder and area, you may wish to meet with this good woman. Pamela is a kind and gentle “voice guide” and founder of Compassionate Community Voice in Calgary, Alberta. She can help you find your voice one-on-one or in a singing circle or “voiceshop.” She cares about details as much as we do and I think that shows in the work we did together in this fresh, open and airy-feeling website design. Naaz is an extraordinary artist. Her crystals and malas are so pretty. I feel extra lovely when I wear one of her rose quartz pieces. It was an absolute pleasure to work with her and to bring this online boutique for her business, Earth Elements, to life. If you like Pink Elephant’s style, I have a feeling you will really like Naaz’s jewelry too. Have a look! Dietician and eating psychology coach Janice Daciuk is so sweet I’d address her in our emails as “Sugar Queen”. She already had a website but it needed to be re-iced, so to speak… so we gave her a new header design and then added some other touches to match. I think it feels as buttery and delicious as a website can. Organized under silk bow ~ header design, website design. No comments. There was oodles of joy in creating this child-friendly but unchildish website for Humbervale Montessori in Etobicoke, Ontario (just outside Toronto). School founder Andrea asked us to find a fresh way to use the school colours of yellow and blue, and she wanted lots of white – but with warmth – reflective of the Montessori approach. We used clean typefaces and added subtle, organic touches in the hand-drawn illustrations, balancing a sense of studiousness with curious play. Humbervale Montessori is heartfully dedicated to the development of young students socially, physically, emotionally and intellectually. Hearing Andrea’s passion made me wish every parent in Etobicoke knew about the work she was doing. It’s a very special place. Organized under logo design, website design. No comments. Organized under website design. 2 comments. She wanted the new site to feel clean and spacious but we know that spacious doesn’t have to mean white or stark. We chose warm neutral shades from Laura’s original pink, blue and green palette. Laura’s site now feels the way her clients feel after their home or office has been organized: peaceful, calm, pretty. Zahra had a lot of content and several offerings (she’s a very generous yoga goddess!) so she asked for our help adding structure to it all. We used the colours of the heart, throat and sacral chakras. We included mendhi-inspired designs. We made sure there was a moon flower present, as an homage to Zahra’s signature yoga and meditation series, Moon Goddess. We wanted her website to feel like one of Zahra’s classes: calming, meditative, welcoming, beautiful. We gave the page flow and made it easier for friends of Yoga Goddess (new and old) to find the class that was right for them. Encaustic artist Tanya Kirouac’s work is beautifully layered. We wanted to create a site for her that would showcase her art and complement its complexity while still being textured itself. The delicate colour palette is pulled from the backgrounds of many of Tanya’s pieces. Homepage text boxes are pale screens, mimicking the layers of thin, painted wax. Photos have delicate frames and all the text treatments follow a subtle hierarchy. Every design detail and every word was carefully and thoughtfully crafted. Pegasus Studios is a family-run dance, art, music and fitness studio with classes for children and adults in the east end of Toronto. Their mission is to add beauty and joy to the lives of their students (of all ages!) through movement and the arts. And when you’re in their space, you feel that.